WARREN  Julia Mikusevich, 89, passed away Tuesday, Dec. 4, 2018, at her daughters residence. She was born Jan. 11, 1929, in Port Homer, the daughter of the late John and Julia Bilchak. She was a graduate and head majorette of Warren G. Harding High School. She was a homemaker. Julia was a member of St. Elizabeth Ann Seton Parish (St. James Church) in Warren. She was Chairperson of the PTA for a number of years, Club President of the Happy Hearts Junior Tamburitzan, a member of the Emblem Club serving as president for one year and their organist. 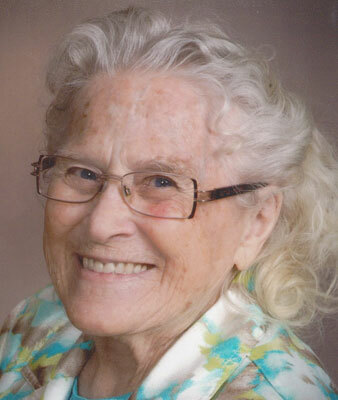 She was a seamstress and enjoyed gardening, dancing, music playing the piano, and especially passing on her musical talents to her children, grandchildren and great-grandchildren. She is survived by her children, Fran Vega of Niles, Jeff J. (Donna) Mikusevich of Howland, Greg P. (Suzy) Mikusevich of Howland and Julana (Deag) Bowman of Lordstown; 13 grandchildren; six great-grandchildren; two brothers, Robert (Helen) Bilchak of Howland, and Joseph Bilchak; and two sisters, Susan Welch of Warren, and Betty Salcone formerly of Warren. She was preceded in death by her parents; husband Frank A Cowboy Mikusevich, whom she married Nov. 27, 1948, and passed away Jan. 25, 2011; a son, Frank M. Uncle Frank Mikusevich; three brothers; and four sisters. Family and friends may pay their respects today, Dec. 7, 2018, from 3:30 to 6:30 p.m. at the Peter Rossi & Son Memorial Chapel, 1884 North Road. NE. and Saturday, Dec. 8, 2018, from 10:30 to 11:30 a.m. at St. Elizabeth Ann Seton Parish (St. James Church, 2532 Burton St.
A service will be Saturday, Dec. 8, 2018, at 11:30 a.m. at the church. Burial will be at Sts. Peter & Paul Cemetery in Warren. In lieu of flowers, contributions may be made to keep the music going in Julias name to Happy Hearts Junior Tamburitzan, c/o of the Funeral Home, 1884 North Road NE, Warren, OH 44483. Family and friends may visit www.peterrossiandsonfh.com to view this obituary, sign the guestbook, and to send condolences to Julias family. « Be the first to sign JULIA MIKUSEVICH guestbook.